With regard to Christmas in the mid-nineties, I was intending on sharing a story about what happened that year, sharing the impulse to drive over 1,000 miles on Boxing Day to see my mother, about the urge to do just that hitting my one morning right out of the blue, and telling my brothers and sister to keep it secret. I had it in my head to share the delight on my mother’s face and in her voice because she squealed like a little girl when she realised it was my little car driving up to the house and not some stranger’s vehicle, and writing about the wonderful two weeks I spent with her, the silly things we talked about and the cooking we did together. But then I’d have to share that she passed away just two weeks later. 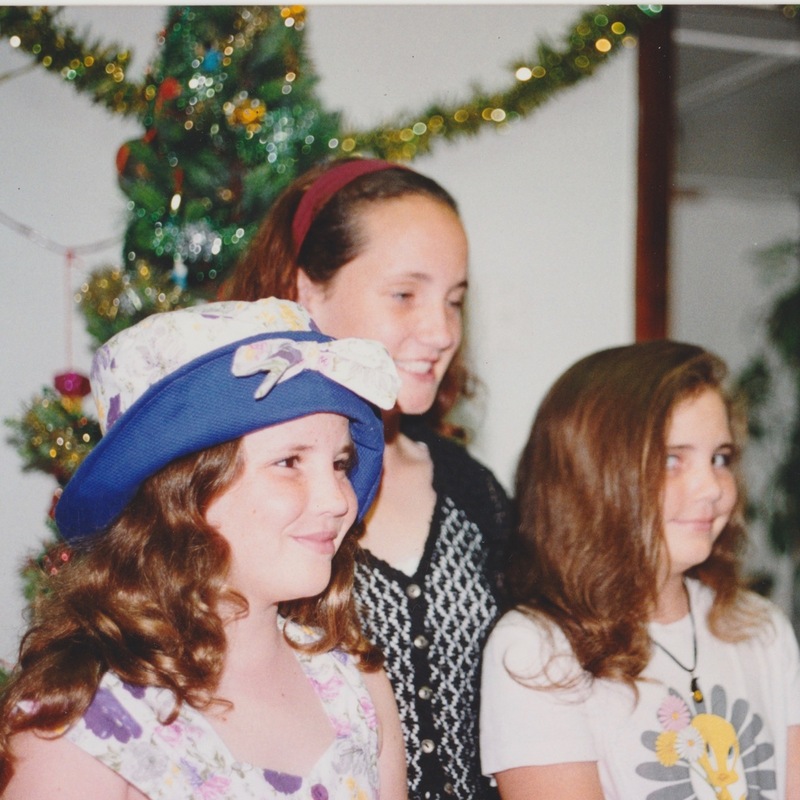 Oh yes, I did intend to share all of this, and more of what happened after Christmas in 1995. That following year was a very sad year for all of us. And then I found this photo and it changed my mind. Melissa, our youngest daughter looking directly at the other person with the other camera thinking “Here’s my biggest smile”. Finding this photo lightened my heart. Thank you Becky. Kate cried this morning, not because I showed her the photo but because I reminder her when it was taken. It was tough, but here we are thinking of mum and remembering lots of good times. Extra hugs for Kate 🤗 Always good to remember the good times, we will be doing this with my Mum this week as it is just over 2years since Dad died. Never easy but they’d want us smiling and enjoying the memories. Your daughters are beautiful just like you. I’m glad you found this picture. It brought you joy! Thank you Nancy. Kate is here today and it gave her a smile and a tear all at once.